Suppliers receive illegible faxes with inconsistent documentation, and struggle to coordinate orders with facilities. Discharges are delayed and the facility experience is poor. We replace the fax machine. Suppliers receive clean documentation that meets the payor requirements, and manage their orders through the digital Parachute dashboard. Eliminate unnecessary data entry, confusing medical justification requirements, and wasteful phone tag. Medical documentation requirements in a simple step-by-step format, digital doctor signature capture. 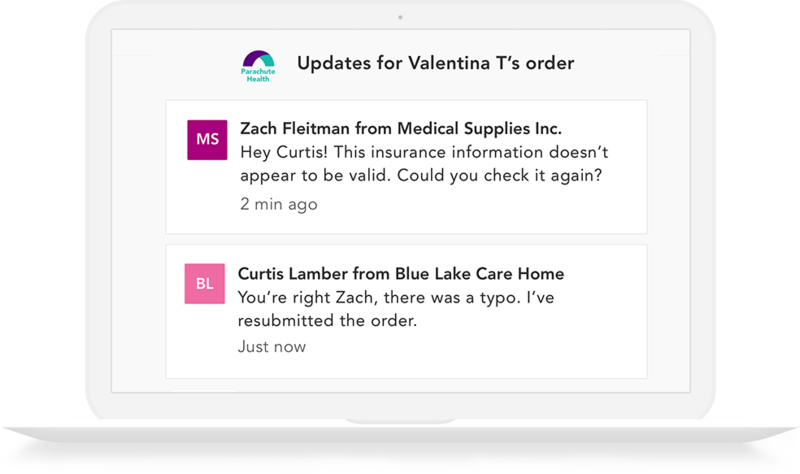 Real-time order status updates, clear order history log, instant electronic messaging between clinicians and vendors. Ordering patterns, fulfillment performance trends, utilization metrics -- all in one place. 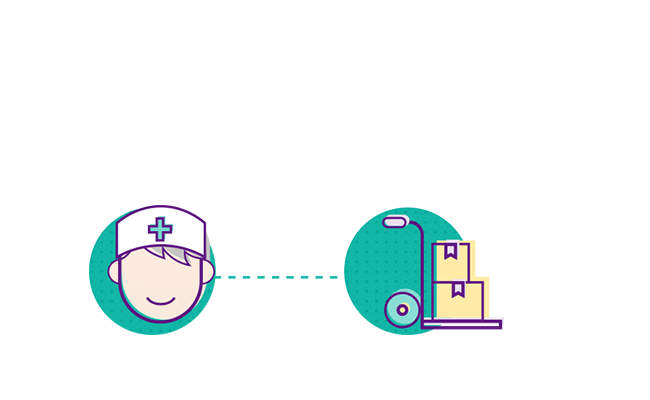 Electronic messaging accelerates discharge and helps you coordinate care seamlessly. No more back-and-forth on the phone. Manage patients, check delivery status updates, and capture MD signatures using our intuitive dashboard. Our smart system generates a set of simple clinical questions to notify clinicians if their patients qualify for equipment.